Central America has more than 2.3 million families depending on agriculture and natural resources for their livelihoods, making them vulnerable to climate change risks such as rising temperatures, extreme events such as drought and flooding, and also crop diseases. 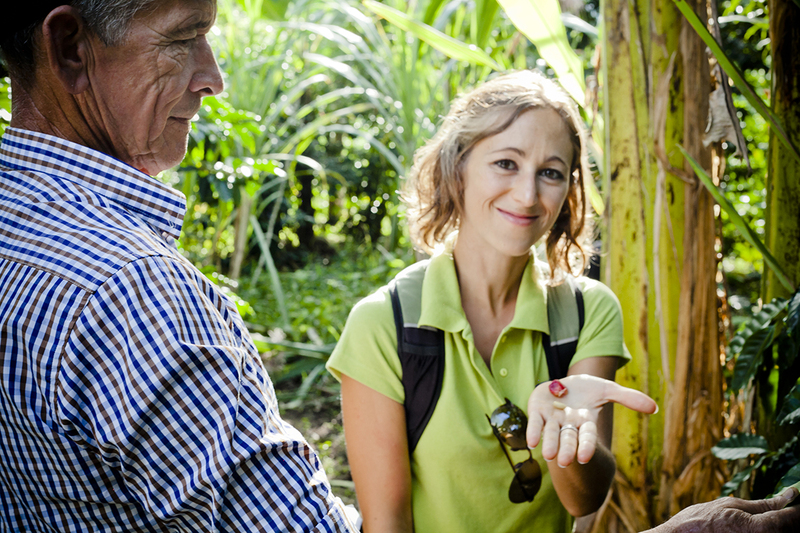 Researchers associated with the Swedish-based Environment for Development (EfD) initiative are running an ecosystems-based adaptation project in Guatemala, Honduras, and Costa Rica that supports smallholder farming communities in adapting to changing conditions. This project scales up the needs and opportunities of smallholders to promote changes in public policies at a regional level. Bernardo Hidalgo owns a 2.5 ha farm in the mountains in El Silencio-Turrialba, about 80km east of the Costa Rican capital, San Jose. 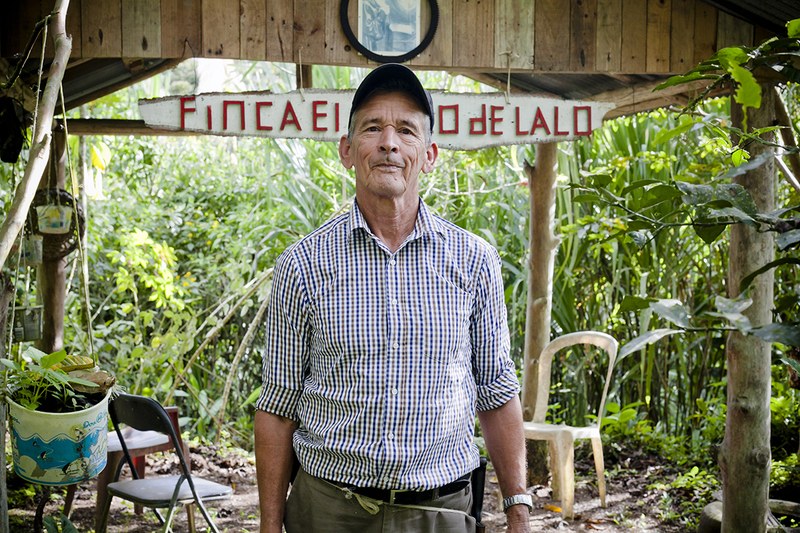 Part of his farm is dedicated to growing coffee, and harvest time is usually in November and December. But in 2016, only half of the coffee harvest was mature and he expects the rest to turn red, indicating that the berries are ready for picking, in January. “The weather is out of control and not only with coffee,” says Hidalgo. “Right now in November, a local flower called itabo (Yucca gigantea) bloomed, when it usually blossoms in April. Same with mangoes – we are eating mature ones now, when that is supposed to be a summer fruit,” comments Hidalgo. This unusual weather is caused by greater climate variability that the region is experiencing as a consequence of climate change. Climate scientists from the Ecosystem-Based Adaptation for Small Farmers in Central America (CASCADE) project anticipate that, by the end of this century, the temperature here will increase by between 1.6°C and 4°C. Rainfall will become much less certain: the models indicate that there will most likely be a decrease in rainfall by as much as 22%, but some models suggest a slight increase of 7%. The increase in temperature and the likely decrease in rainfall in most of the region will reduce agricultural yields and change the area that is optimal for growing certain crops, amongst them coffee. Changes will also favor the outbreak of pests and diseases affecting crops, which will compromise food security and livelihoods of the most vulnerable communities in Central America. In the region, 41.4% of the population is rural and at least 2.3 million families depend on agriculture. Their vulnerability to climate change depends on many factors, including high exposure to extreme weather events, poverty, low levels of education, land tenure, and reliance on ecosystem services such as water and pollination. 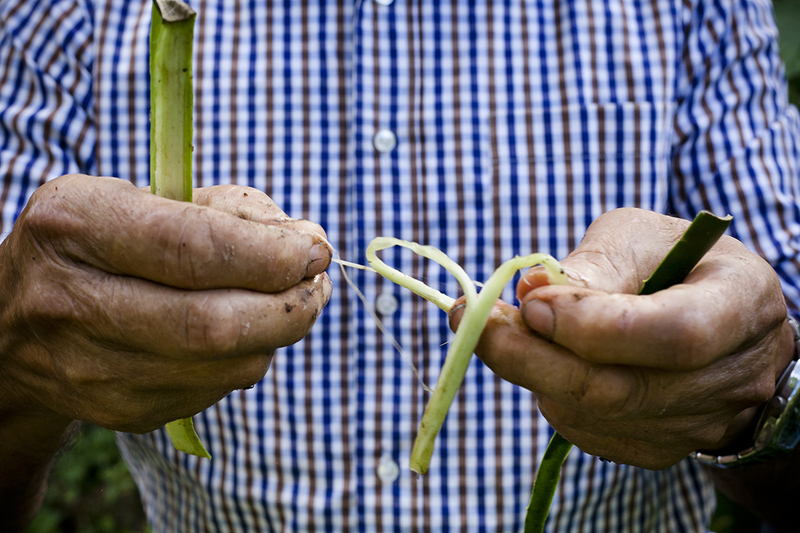 These factors show that rural agricultural communities have little capacity to adapt to change. Hidalgo has already suffered crop losses from coffee rust in the past. This disease, caused by a fungus, is expected to thrive under rising temperatures. “Some time ago, the rust attacked coffee plantations that had already reached their harvest cycle, but now, it is attacking the young, well-kept farms,” says Hidalgo. But unlike Hidalgo, most small farmers are less prepared for the changing climate conditions, and are already suffering strong impacts from extreme weather events, including strong rains, flood, drought, and heat waves. 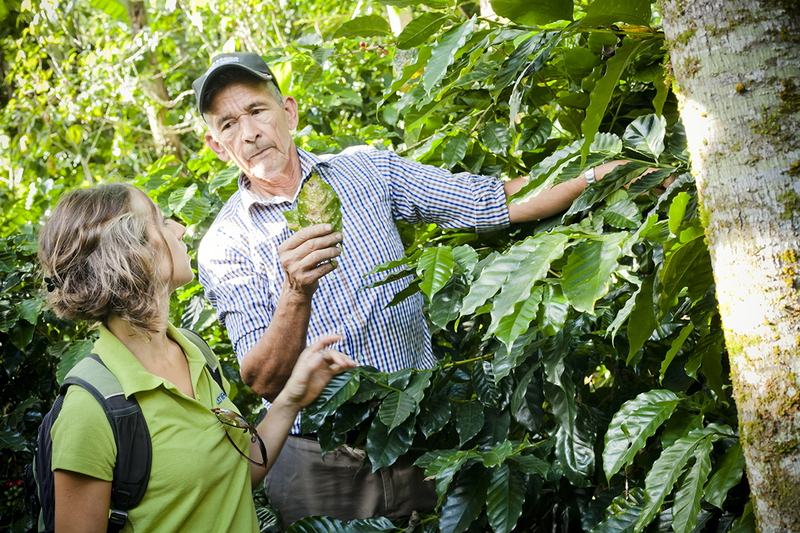 Helping subsistence farmers and small coffee growers to respond to this shifting climate is what researchers with the EfD-linked Ecosystem-Based Adaptation for Small Farmers in Central America team has been working on since 2012. Researchers and small farmers in Costa Rica, Honduras, and Guatemala have turned to nature for solutions and have opted for response strategies that take advantage of ecosystem-based services, such as biodiversity and environmental functions, to counteract the negative effects of climate change and thus foster long-term resilience. “The people (researchers) have given me many recommendations and I have made many changes on the farm. I have planted many trees on the coffee plantation; I have also planted three varieties of banana and between 10 and 15 medicinal plants,” says Hidalgo. This combination of coffee plants with shade trees, besides regulating temperature, contributes to soil fixation and nutrient recycling, while diversifying farm production and therefore the income of the family. Planting trees near the riverside is an investment in water availability, as the roots of the trees help the soil absorb the rain; liquid is stored and slowly released to rivers or streams, which prevents floods. Also, restoring degraded areas helps improve soil fertility, while the protection of forested areas prevents erosion and landslides. Hidalgo adds one more benefit: these trees attract different species of birds that feed on insects that could become pests. In this way, nature is providing balance to the farm. “I have learned so much from this project! I wish there was an incentive to support these efforts and more farmers working the way we work here. The government speaks so much of reforesting and caring for the environment, so it should give more support,” Hidalgo points out. Over time, nature has been able to cope with change. Now it is teaching farmers to adapt to the new conditions that climate change brings, and it suggests an idea: that farmers and nature can protect each other. Some governments have adopted this ecosystem-based adaptation approach and have launched supportive initiatives for farmers. However, not all governments have been quick to pick up on it. Researchers at CASCADE say they intend to roll out this approach more widely, and hope to overcome some of the barriers to people adopting it, and to capitalize on the opportunities for agricultural sector adaptation.